It’s no secret at this point that we get our consumer goods from all over the world. We live in a global economy and it’s not unusual to be in your office in St. Louis, Missouri, eating strawberries from Chile while sitting at a desk made in China and wearing jeans constructed in Vietnam. The upside is that goods are often cheaper these days but the downside is that it’s not like you can drive across town and yell at the manufacturer if something doesn’t turn out the way you expected it to. If China sends you garbage, you’re outta luck. 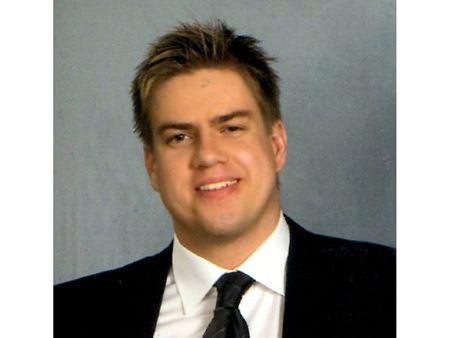 Founder Thomas Halvorsen discovered this through the course of his own business life. After receiving some goods that were of such poor quality they were basically “unusable,” Thomas decided that he was going to do something about it. The result was Tradesparency, a website that takes the user-review format of Yelp with the aim of creating a community manufacturers and sellers that self-regulate business interactions. Basically, if you’re going to sell someone a crappy product, they’re going to go on Tradesparency and complain about it, which will hurt your future business prospects. Thomas chatted with us over here at KillerStartups about his process and changing the lives of small business owners worldwide. I wanted a name with meaning, so I played around with a few word-combos for a while. 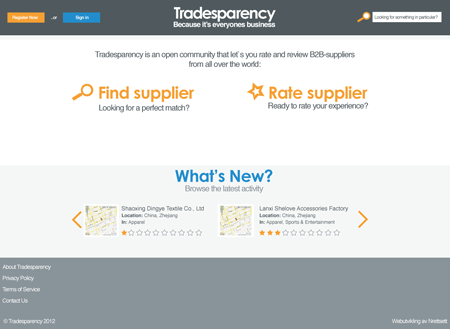 Finally, I landed on tradesparency that I think fits really good with what I am trying to do: Bring transparency into international trade. Check emails, off course, and drink coffee. 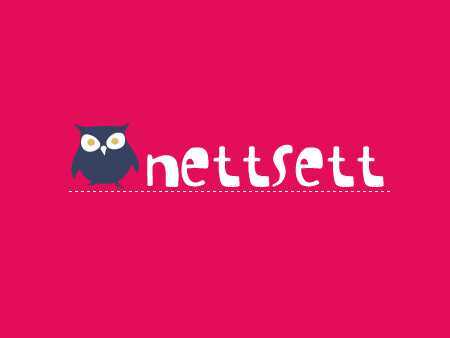 It is just me that is employed in the company, but for Tradesparency.com I have worked with a couple of very talented developers in an agency called Nettsett.no. Try to target frustration into something productive. Use the “frustrative energy” to work harder. I do most of the work from home, so it is basically only a small apartment now as the office at the moment. I hope we are a household name among small business owners. I get inspired by everyday life. I co-own a little retail company in Norway, and the idea of Tradesparency.com came after me and my partner ordered our first shipment of beanbags from a chinese “Gold Supplier” on Alibaba.com. The goods were basically useless, and it almost brought the company down. I started thinking about how this was a huge problem for small business owners all over the world, and for ways to solve it. My company is originally an affiliate company, so that is where the money comes from. Tradesparency.com is 100% self-funded. Use cheap developing-solutions starting up to see if your idea gets any traction at all. DO NOT spend money on outsourced market research. 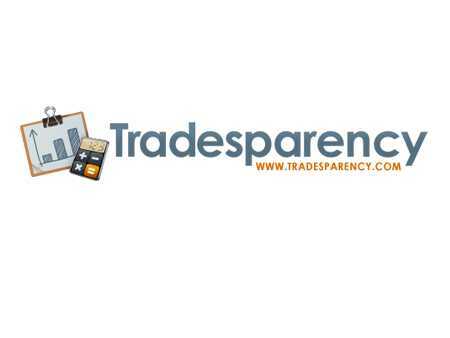 If Tradesparency.com can help change the lives of small business owners all over the world, then I will feel successful. I am not a big user of apps, but I find iBooks and Kindle to be awesome due to the availability of books. IOS for Ipad, Android for mobile. The greatest thing is that Tradesparency.com can help change the lives of small business owners all over the world. Few western importers would dare order a shipment from an unknown Ugandan supplier today. Maybe in the future we will see small businesses from these countries with good reviews on Tradesparency.com. It has the potential to make the world smaller and more connected. 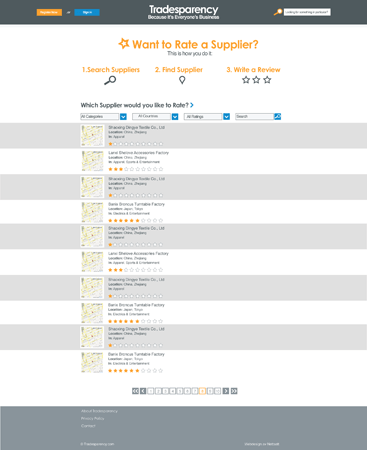 Why will people share the good suppliers and manufacturers? A lot of people will not, but they asked the same question about Yelp.com in regards to great restaurants and cafes. Human nature works in a way were we want to reward people that do good, and penalize those who dont. Business owners develop personal relationships and trust with suppliers they work well with. It is only natural to reward them with a good review.